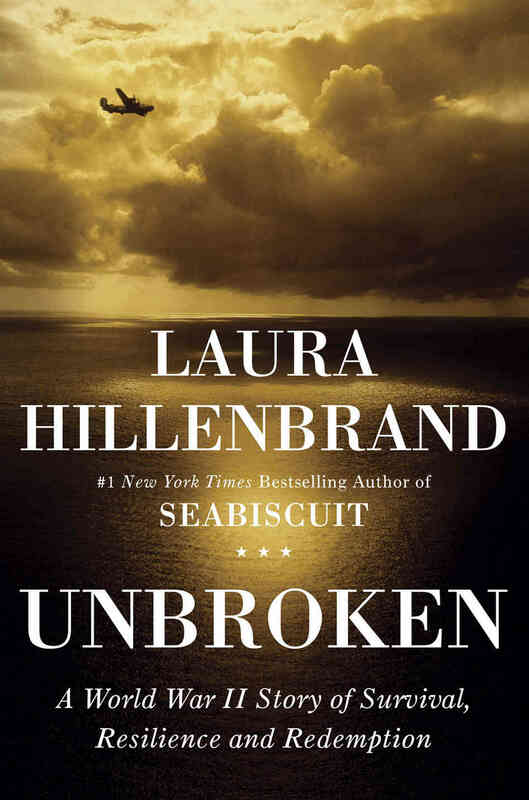 Four years ago when I first read the highly acclaimed book, Unbroken by Laura Hillenbrand (Seabiscuit), I thought, this was an important book that was going to fly because of how strong the story was in the life of Louis Zamperini. Working in the publishing industry, it has been so encouraging to see people from all types of backgrounds read this story and enthusiastically recommend it to others. I have since given the book as presents to numerous people. I seek out those who haven’t read it because Zamperini’s story is so inspiring. You don’t need to be a World War II enthusiast to appreciate it. It is a beautiful story of endurance and redemption. A few years ago I read that the movie was quickly optioned to be adapted into a movie. It would be created by multiple Oscar winners; directed by Angelina Jolie and the screenplay would be adapted by Joel and Ethan Coen and a few others. It was hard to not be excited about the possibility of how great this movie could be. I waited in anticipation to see the movie and finally was able to this past week. The movie suffered what happens to so many great books. 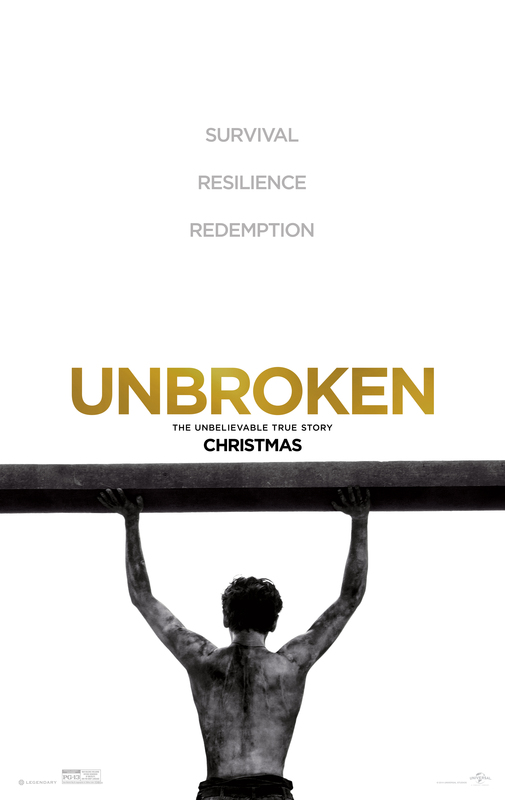 Unbroken the movie was good, but not great. I’m mad because good movies don’t get shared by word of mouth. Great movies do and this just was not a great movie. I also don’t want to hear the typical excuse from people, “the book is always better than the book.” That is an ignorant statement because movies and books are just different mediums of telling story. I knew the film would not match the book and I was okay with it only because I read the full story of Zamperini’s life told so well by Hillenbrand. I was disappointed because so many people have gone to see the film, left disappointed, and probably did not know why. Sure they were impressed with his incredible life and enduring so much. So, why did the movie fall flat? According to authority on story told through film, Robert McKee, the first principle of adaptation is the following: The purer the novel, the purer the play, the worse the film. All this means is that because Unbroken was a great book, it was much more difficult to transfer its greatness to film. But, it could be done. Also, when a lesser talent (writer or director) attempt to adapt genius, the genius of the original writing will most likely be dragged down to the level of the adaptor. Now, a lot of people will point out that Angelina Jolie is still a young director but I felt she did a fine job with the film for only her second time directing a feature film. There are many things in the movie that just felt awkward and disrupted the story. For example, why would you do a flashback in the middle of an intense air battle? The ending is also what fell flat because it is too abrupt. Finally, the core of an epic movie is the soundtrack and it just did not match the dramatic story being told. Finally, the key ingredient missing was the movie not being able to show the full transformation of Louie Zamperini. I don’t want to ruin the story for you but the final act of the book is what makes the first part of his dramatic story more meaningful; following Zamperini’s troubled youth, running in the 1936 Olympics, watching his life as a WWII bombardier, crashing in the Pacific and drifting for 47 days, and enduring over two years in a Japanese prisoner of war camp. The movie could have been great like the book but also different. The filmmakers failed to show the full transformation of Zamperini’s life, which is where we witness true greatness. Despite everything, I am thankful for this movie because Louis Zamperini got to spend in-depth time with Angelina Jolie, arguably one of the most populate entertainment stars in the world. Zamperini had the opportunity to share who he truly was to her, a man who lived an extraordinary life and one saved only by grace in Jesus. In summary, if you are dissatisfied with the movie, turn back to the book. Read it. Then re-read it. After all, good story always wins. Go read Unbroken. Go read good stories. To Kill a Mockingbird: It is rare that a great book can become a great film as well but it was done. I can’t imagine Atticus Finch better than how well Gregory Peck played him. Lone Survivor: I read the book by Marcus Luttrell right after it came out in 2007. Director Peter Berg fought hard to make sure the movie was told well and did an excellent job adapting this true story to film. World War Z: I loved the book, which serves as a first hand account of a fictional zombie war. When Brad Pitt led this great book to film, it was very different and faster as a movie but it had to be different. This is a rare movie that did a fabulous job to preserve the spirit of the book but also recognized that it had to be different to work well on-screen. The Hobbit vs. Lord of the Rings: No doubt that LOTR and Hobbit are classic pieces of literature from J.R.R. Tolkien. LOTR the movies are treasures of bringing the books to life on film but The Hobbit falls very flat in its adaptation. American Sniper: The book is highly acclaimed and I can only imagine how well Clint Eastwood will do with the movie, which releases in January, 2015. If you are looking at some other great book to movie adaptations, here is a good list. Unfortunately I’ve heard too many trusted opinions, like yours, that sound just like this. The full redemption of the story really needs to be shown. Without seeing the brokenness, transformation and forgiveness, are we really inspired toward anything other than our own human strength? So I think you probably hit the nail on the head…people should read the book! Erik, glad I’m not alone in the assessment. I really believe that God has used Zamperini to change lives. Again, I appreciate the movie and it wasn’t a terrible movie, just an incomplete one. Yes, read the book! I was discussing this movie with a friend who is a former teacher and we both had the same response. It felt very two dimensional to me. His explanation was that the movie was a lot like a 4th grader’s book report, “He said this. Then he did that. Afterward, this happened, and then that.” In other words, a lot of facts shared but not a lot of emotion or heart. I have not read the book, so I don’t have that context, but I’ve heard many people talk about the book. Having said that, I felt sad for Louie’s struggles and how horrific his experiences were, but I didn’t really FEEL anything. The movie was like watching a musician perform as opposed to being invited to worship along with a musician. When you stop to think about it, that is similar to my perception of Angelina Jolie. She is a terrific actress and nails most of the roles she plays but personally, she seems to me very unemotional, flat, and distant. I know that Angelina and her father, actor, Jon Voight, have a strained relationship, so it makes me wonder how that bleeds into her work as a director in movies like this. For me and my work in helping fathers connect more deeply and intentionally with their children, I look at that father/daughter relationship and think, how could it NOT impact her work as a director. There’s a congruence in her appearing lack of emotional openness and her version of Unbroken the movie. That is my take on this film. I’m hoping to get a copy of the book from you and take in the full weight of this epic story. Phil, you really nailed it and hit on some themes that are much deeper, too. The Angelina Jolie situation is a fascinating one because Louie has said in articles last year how much he has appreciated her and I can only be thankful for God using Louie in that time to share Christ with her. I had also read about her strained relationship with her father and can see how it carries into all aspects of life. Very insightful. Glad to read your remarks. Have loved Unbroken – read it twice, plus Louie’s autobiography, A Devil at My Heels. Since I am so sensitive to visual images of violence in film, I actually have not planned to see the film. But for a major release, I’m not surprised the redemptive elements of his life are downplayed. They are actually downplayed in Unbroken compared to Devil. Mary Ann, I read that Zamperini had been quite comfortable with the way the movie portrayed him. I knew that going into the movie so nothing surprised me except for how the movie was choppy and ultimately ended so abruptly. I think that is the main reason so of the more notable critics have had issues with the movie. As for LOTR, one thing it got better than The Hobbit was the ability to move the viewer through the story. Good thoughts from Tolkien’s son. I honestly don’t mind that much about what Christopher Tolkien thinks because he probably doesn’t understand how to tell story through film. Visuals are a key element to telling story so Jackson seemed to do a fine job from what I saw (and many other critics). Ultimately, it is very difficult to produce a successful adaptation so my point of all of this is to go back tot he book.